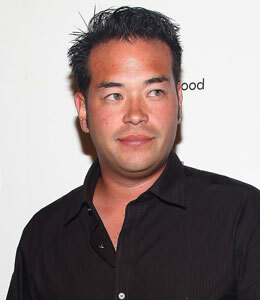 Jon Gosselin has a new lady in his life. The father of eight is reportedly dating Morgan Christie, 25. Gosselin, 32, met Christie while snowboarding in Utah over the Thanksgiving holiday. "They've been inseparable," a source tells the National Enquirer. "They talk on the phone and text throughout the day, and Morgan flew to New York right after Christmas to be with him." The source adds, "Jon is going through a really tough time... He and Morgan are becoming very close, but he's being really cautious because of everything he's been through." The Enquirer also reports Gosselin brought Christie back to his hometown in Pennsylvania and the two "crashed at a hotel." The tabloid claims the former reality TV star has learned from his public relationship with Hailey Glassman. The source reveals, "Jon adores Morgan and is trying his best to keep her out of the spotlight while he tries to figure out his life."